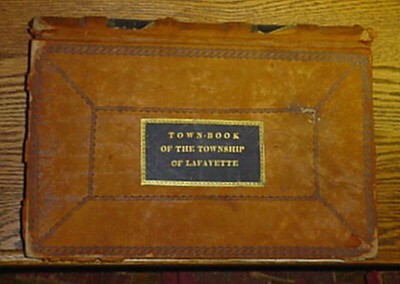 The Township of Lafayette was named in honor of the distinguished patriot, the Marquis de Lafayette, on the occasion of his triumphal return to America in 1824. Lafayette Township has the distinction of being the first town, city or township in the nation to be named after the General. It consists of approximately 12,000 acres and 2400 residents (per the 2000 census). In 1750, the first settler, Henry Bale, chose what was then a wilderness as the site of his home and eventually, a mill. The settlement grew to include three schools, three churches, two mills, three general stores, a foundry and an assortment of shops and hotels. The centerpiece of this growing village was the Ludlam House. Built in the early 1800's it housed several families, the latest being the Mabee family, which sold the house to the Township to use as a municipal building in 1968. The future of the Lafayette Municipal Building will be to return it to it's past as the "Mabee Mansion". Lafayette Township moved into a newer, more efficient Municipal Building in the spring of 2005, and the Lafayette Center Preservation Foundation will begin restoration of the historic, stately mansion. 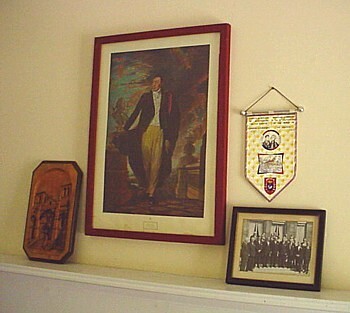 The Preservation Foundation, in partnership with Lafayette Township, plans to create a museum, open to the public, showcasing their growing collection of Lafayette memorabilia and vintage photographs. The first phase of this project, to begin in the fall of 2005, will be the repairs of the cornices and built on gutters. The Preservation is investigating the possibility of having the house listed on the National and State Register of Historic Places.